Coffee- it’s the fuel that runs most of our lives. Even the smell of it in the morning can miraculously turn you on- for work. But do you ever notice sometimes that drinking more and more coffee throughout the day actually makes you tired and ready for a nap? I drink coffee every day. Coffee with grass-fed butter and coconut oil extract, specifically. I make a whole thermos full, drink most of it in the morning, but finish the rest throughout the day. Lately however, especially later on in the day, I’ve noticed that I just get so tired- I’m ready for a nap by 3 pm. This coffee is suppose to get me wired- before, it nearly had the same effect on me as Adderall, which I used recreationally to study in school. Why do I feel so tired then? I did some research and this is what I found. Coffee is a diuretic and a vasoconstrictor = prepare to get dehydrated. Anyone who’s ever had coffee knows it’s a diuretic- it makes you have to pee every ten minutes it seems. Coffee is also a vasoconstrictor, which makes your veins smaller and increases your blood pressure. Every time you relieve yourself, you are losing precious fluids, making your blood thicker, especially being pushed through constricted veins. Ever been hungover and feel like death? That’s dehydration at it’s finest. Be sure to drink a ton of water before and while you are drinking coffee. But the kind of feeling I get isn’t from dehydration. It’s more like I’ve developed a crazy tolerance for caffeine. 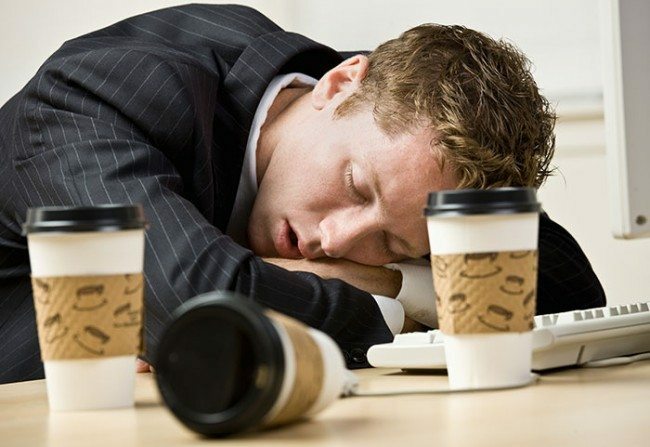 So this would mean that there is some correlation to coffee making you sleepy. This next point pretty much described me. And what is the natural opposite of caffeine? Sleep. So not only have I developed a tolerance to caffeine, but my body is struggling to counter it’s presence in my system by making me even more sleepy. So what can you do about this? Obviously lower your intake of coffee, but there is one important point to never forget. I’m no stranger to headaches as it is when caffeine is involved, so I definitely don’t want to suffer anymore. I would also suggest switching to green or white tea, the latter generally being high in antioxidants and very low on caffeine. It’s time to tough it out and stop using coffee as a crutch. Good luck and I hope this helps!